The entrance to the Bahnhof internet service provider at Pionen White Mountains facility. Belmarsh magistrates court has ruled Wikileaks founder Julian Assange is to be extradited to Sweden. His legal advisers have confirmed he is to appeal the ruling. 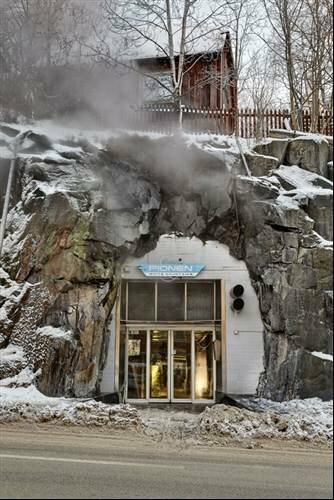 Wikileaks is hosted in a former Cold War bunker in Sweden 30 metres underground, beneath the country's White Mountain range. The site was originally designed to survive a nuclear attack - which is just as well given the radioactive response to the Wikileaks' US embassy cable release. In fact, the site moved to the Bahnhof AB facility following its document dump and consequent removal from Amazon's servers.